Dalton Damion Jackson, also known as “Spring Wata” was born on May, 19 1981 at the Victoria Jubilee Hospital in Kingston, Jamaica and grew up in the community of Cassia Park. He attended Cleve Grant Basic and Swallow Field All-Age Schools. In the year 2008, “Spring Wata” was diagnosed with Discoid lupus. This caused him to be admitted in critical condition at the Kingston Public Hospital for four months. However, through the grace of the almighty and his strong will to live, he was discharged leaving doctors and other patients in awe. Seeing that he, being alive today is nothing short of a miracle, Spring Wata is even more driven to accept his second chance at life and step towards his destiny. Due to his condition and strict instructions to limit his exposure to sunlight, he had to discontinue his trade in construction. He then turned to music and has not looked back. His good friend, Roger Robinson, who also goes by the stage moniker, “G’Ovany,” built a recording studio and he used this as his opportunity to hone his craft. In 2011 the love of music manifested and he began to seriously pursue a career as a recording artist after recording his first track entitled “I Never” produced by Rokwon production. 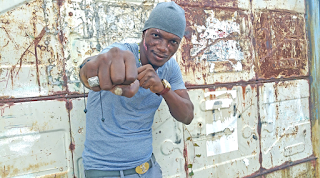 With a unique voice and superb writing skills, he has managed to compose music under the reggae and dancehall genre. With this magnificent talent he is responsible for constructing and writing some of the hits we hear today, from some of our popular entertainers, most notably Fantan Mojah, whose hit “Rasta Got Soul” is one of his biggest songs to date. 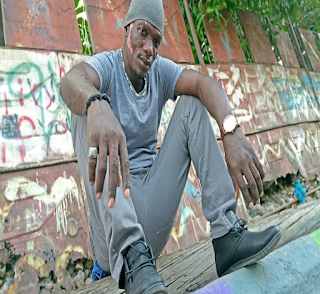 With his persistence and his confidence, Spring Wata got his first major experience in the year 2014, at Noddy Virtue’s birth night bash in St Elizabeth where he performed to rave reviews. Later that year Spring Wata gave the fans his first professional set backed by the Gangalee Band at Louie Culture’s “Portland Splash. Inspired by some of our greats such as Bob Marley, Garnet Silk and international artists such as Michael Jackson and R Kelly, he is slowly, but surely cutting a piece of the pie for himself. His mentors are, but not limited to, Turbulence, Dean Frazer, Winston “Bo Pee” Bowen, Half Pint and most recently Lt. Stitchie. Their words of wisdom and encouragement, mixed with some sharp rebukes have definitely prepared him for that big break. Currently working on his first EP and the release of his 3rd music video, Roses, Spring Wata has managed to capitalize on the hunger for good music and forming a fan base of his own on a local and international scale, thanks to radio play by some of our most popular local radio stations, internet radio, disc jockeys/ sound system operators and social media. He has been working assiduously with production companies both local and abroad. Besides playing football and reading, he enjoys writing and recording music; most of his spare time is spent in the studio at Rokwon, Frenz4Real, Legendary and Bobbie Digital recording studios.